Looking for enlisted Army rankings? We’ve organized the U.S. Army ranks structure from highest to lowest. At the top you’ll find Senior Non-Commissioned Officers (NCOs) including Sergeant Major of the Army, Command Sergeant Major, Sergeant Major, First Sergeant, Master Sergeant, Sergeant First Class. Below them are Non-Commissioned Officers. 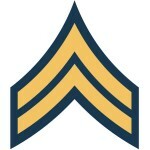 These include Staff Sergeant, Sergeant and Corporal. Finally, at the bottom of the Army ranks are Junior Enlisted Soldiers. They are ranked as Army Specialist, Private First Class, Private 2nd Class and finally Privates at the bottom. The Sergeant Major of the Army is a non-commissioned position with an E-9S pay grade. Based on recent data, the SMA earns around $7,894.50 per month in base pay. 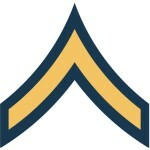 There can only be one SMA at a time and they are the highest ranking enlisted member of the Army. 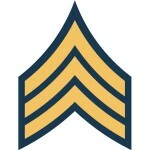 An SMA spends most of his time working with the Chief of Staff of the Army as an advisor. The SMA is considered to be the primary advocate for enlisted soldiers. If you are passionate about improving the wellbeing of your fellow soldiers today and into the future, this could be a great role for you. The Command Sergeant Major (CSM) is a Senior Non-Commissioned Officer with at least ten years of experience. They act as a assistants to officers at the brigade level. The CSM is also responsible for the care of their unit’s guidon (flag). 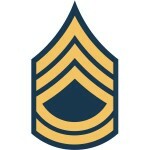 Before earning a promotion to this rank a First Sergeant must must pass the SSD-5 test. A Sergeant Major is very similar to the a Command Sergeant Major, however they have a smaller leadership role. An SM acts as an assistant to officers of a battalion. 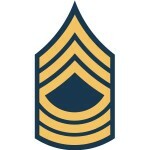 Under new requirements, a First Sergeants must pass the SSD-5 test to qualify for a promotion to Sergeant Major. You can think of a First Sergeant as the father of the unit as they help lead, train and discipline all enlisted soldiers. A 1SG must manage all of the day-to-day responsibilities of running a company sized unit. 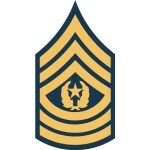 A Master Sergeant is an NCO similar to a First Sergeant. However, they have different responsibilities. For instance, a Master Sergeant is in charge of making sure the company runs smoothly, often times behind the scenes. You could say they handle the operational side of things, where as a First Sergeant primarily manages personnel. To qualify for promotion as a Master Sergeant, soldiers must pass the SSD-4 test. 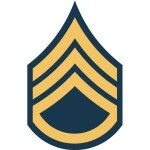 When you become a Sergeant First Class you are in charge of tactical operations, logistics and act as the senior tactical advisor to the platoon leader. SFCs can lead up to 40 soldiers in a rifle platoon or 18 soldiers in an armor platoon. Getting promoted to Sergeant First Class is more difficult than you may have experienced in the lower Army ranks. This position is selected by a centralized promotion board. Among other requirements, SFCs must pass the SSD-3 test (Structured Self Development Course). Getting promoted to Staff Sergeant requires substantial dedication and leadership skills. At a minimum Sergeants need 72 months (6 years) of service and 10 months within the E-5 pay grade. They must also have a passing APFT score, weapons qualification, complete SSD-1, complete an NCO education course and pass the promotion board. Sergeants are required to have 36 months of service and 8 months as an E-4. You will also need a passing APFT score, weapons qualification and meet height and weight requirements. A Corporal is a leader of enlisted soldiers. Before they can get promoted they must display superior leadership qualities. Their job includes leading fire teams and carrying out missions in the field. You can get promoted to an Army Specialist automatically if you meet a few criteria. First you must have served 24 months in the Army. Next, you’ll need at least 6 months within the E-3 pay grade, also called “time in grade” (TIMIG). You’ll move up to Private First Class after 12 months of service and spending 4 months within the E-2 pay grade. 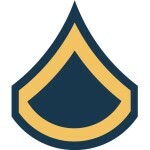 In as little as six months you will be promoted from Private (E-1) to Private Second Class (E-2). 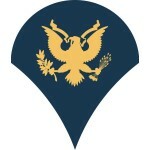 A Private (E-1) is the lowest position in the U.S. Army ranks. How long will it take you to move up the ranks? Well, after you enlist you will be automatically promoted based on your time served. You can expect to move up to the next position after 6 months of service.